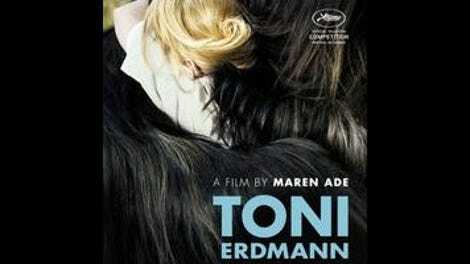 Here’s what Toni Erdmann really is: a Maren Ade film. Ade isn’t yet well known in the U.S., but her reputation on the international festival circuit has been growing for a while now, and she has yet to make a feature that isn’t flat-out terrific. Her university thesis film, The Forest For The Trees (2003), is a cringe-comedy character study about a young woman, new in town, who’s eager to make friends and completely indifferent to societal standards regarding personal boundaries. While the film never got an American theatrical release, it was so strong that it managed to escape academia, screening at Toronto and other major festivals. Ade’s sophomore feature, Everyone Else (2009), delivered on Forest’s promise in spades, winning both the Silver Bear (second prize) and the Best Actress award at Berlin that year. It’s an amazingly thorny and complex relationship drama, involving lovers vacationing in Sardinia, that’s otherwise quite hard to describe, lacking as it does any sort of narrative “hook.” Despite glowing reviews (including our own), it grossed only $102,042 in the U.S.—not terrible for a foreign film, but hardly a crossover hit. Toni Erdmann, which got picked up by Sony Pictures Classics following its Cannes premiere last May (where it was inexplicably ignored by the jury, though critics almost unanimously considered it the best film in Competition), is poised to make more of a splash. Certainly, it has more of a hook, as noted above. We first meet the rumpled, hangdog, 70-ish Winfried Conradi (Peter Simonischek) pranking a delivery guy, pretending that the package being delivered might be a bomb; he disappears into the house and then reappears a moment later as his brother, wearing a disguise (which he apparently keeps handy for just an occasion) and sporting a handcuff on one wrist, as if he’s escaped from prison. As dad jokes go, this one is pretty involved, but Winfried takes goofy alter egos to another level when he visits his daughter, Ines (Sandra Hüller), who has a demanding job as a corporate consultant, and quickly, inadvertently alienates her. Transforming himself into Toni Erdmann—who variously introduces himself to people as a lifestyle coach and as the German ambassador to Romania—he proceeds to stalk Ines, repeatedly showing up to throw her already disordered life into further turmoil. Ines, trapped, plays along, becoming progressively more frazzled as she struggles to negotiate a major business deal in spite of these ludicrous distractions. Part of what makes Ade’s films special is the remarkable degree of specificity she pours into them. This scenario would work just fine with Ines in Germany, perhaps living in a different city a few hundred miles from where she grew up. Instead, she works in Bucharest, which is where the vast majority of Toni Erdmann takes place. And the movie runs as long as it does in part because Ade isn’t content merely to throw in some generic business-deal signifiers and move on to the comedy. Ines’ unhappiness and frustration, we see, derives largely from the exhausting amount of time she spends asserting herself in an inherently belittling environment—having to overcompensate, in essence, for being a woman surrounded mostly by men. In the hands of a lesser filmmaker, that could come across like a tract; here, it surfaces in sharp observational moments, like Ines leaning over and whispering just the word “hair” into her female assistant’s ear during a presentation, in response to which the assistant immediately lets her hair down, for the benefit of their all-male clients. That Ade can expertly integrate such incisive social commentary into this film’s frequent lowbrow idiocy—“Toni Erdmann,” as a character, is only a notch or two less ridiculous and more civilized than Andy Kaufman’s alter ego, Tony Clifton—is little short of miraculous. Indeed, Toni Erdmann boasts a tonal range that no other movie this year can match. (Manchester By The Sea comes close, but its humor is much more restrained.) The film’s climactic birthday party, which reliably brings down the house, takes deliberate self-mortification to a truly hilarious extreme, but Ines’ desperate behavior in that scene is a fun-house-mirror reflection of the starkly suicidal impulse she casually mentions to her father earlier on. Hüller and Simonischek do superlative work, creating a relationship that feels genuine in its mix of affection and exasperation; neither Winfried nor Ines ever intends to hurt the other, yet the disappointment just keeps accruing on both sides, until each snaps in his/her own way. Is the film overly long, at two hours and 42 minutes? Maybe just a little—there’s a slightly enervating detour that sees Winfried accompany Ines to observe some oil workers whose jobs are likely to disappear as a result of the deal she’s helping to finalize—but it generally maintains a breezy pace, and it genuinely needs the breathing room. This is a high-concept comedy that’s firmly, almost defiantly rooted in the real world, among fully three-dimensional human beings whose behavior doesn’t conform to a rigid template. There’s nothing else like it in theaters right now. Brace yourself for the emotional whirlwind, and go.